Tina Fey happily hits the stage to celebrate Mean Girls Day at The August Wilson Theatre on Wednesday (October 3) in New York City. The 48-year-old writer-actress was joined onstage by Jonathan Bennett, aka Aaron Samuels from the Mean Girls film, as he read a proclamation from the New York State Assembly officially declaring October 3rd, Mean Girls Day, in the state of New York. Tina and Jonathan then made their way outside to join Broadway stars Erika Henningsen, Ashley Park, Kate Rockwell and Taylor Louderman to pose with the re-named “W. Fetch Street” sign on W. 52nd Street sign between Broadway and 8th Avenue. That same day, Tina also visited the Mean Girl Day celebration at Drybar Bryant Park. Tina Fey poses for a photo with husband Jeff Richmond while attending the launch of the Mean Girls cast album on vinyl on Tuesday (August 28) at Urban Outfitters in New York City. Tina, Jeff, and their co-writer Nell Benjamin joined cast members from the Broadway musical, including Erika Henningsen, Ashley Park, and Kate Rockwell, to sign copies of the vinyl for fans. You can order the Vinyl now on Amazon and other places where music is sold! Mean Girls is currently running on Broadway at the August Wilson Theatre. Mila Kunis, Kate McKinnon & Sam Heughan Premiere 'Spy Who Dumped Me' in NYC! The cast of The Spy Who Dumped Me is premiering their movie in New York City! Mila Kunis, Kate McKinnon and Sam Heughan stopped by the premiere on Sunday evening (July 29) at the The Whitby Hotel screening room in the midtown area of New York City. Also in attendance at the event were co-stars Ivanna Sakhno and Hasan Minhaj, with guests Zosia Mamet, and Mean Girls the musical stars Taylor Louderman, Ashley Park, and Kate Rockwell. If you missed it, on his way to New York City, Sam was “starstruck” on the airplane because of the celeb he was sitting across from! Be sure to check out the movie, in theaters this weekend! 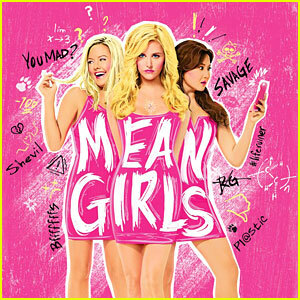 'Mean Girls' Broadway Cast Album - Stream & Download! The complete Original Broadway Cast Recording for Mean Girls is out now and you can listen to it here! 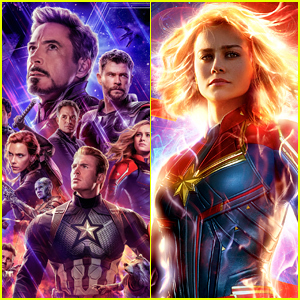 The music for the Broadway show was written by Jeff Richmond and Nell Benjamin and is Tony-nominated for Best Original Score. The musical is running right now in New York City and it stars Erika Henningsen (Cady Heron), Taylor Louderman (Regina George), Ashley Park (Gretchen Wieners), Kate Rockwell (Karen Smith), Barret Wilbert Weed (Janis), Grey Henson (Damian) and Kerry Butler (Mrs. Heron/Ms. Norbury/Mrs. George). Get your tickets now to see Mean Girls on Broadway and listen to the music by downloading it on iTunes or streaming it below from Spotify.